Why am I including Dragons on this site? Maybe it is because I have always loved them. As a small child I fell in love with dragons and I wanted one as a pet. I had a deep belief that dragons were good beings: my idea was more like a large flying intelligent dog. 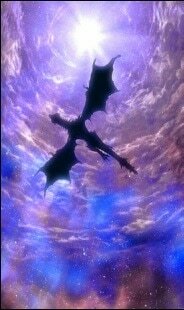 I never associated dragons as the typical evil beast that flew around eating people and burning fields to the ground. Although the latter view is typical of Western mythology and what is depicted in most movies.